I had my first ever Reiki session in 2001. I’d heard wonderful things about a holistic therapist called Peter Farnsworth when I worked for a spa magazine in Ely, and I wanted to find out more. The treatment I had was wonderfully calming – I didn’t go for any specific health problems – and I was hooked. As soon as I could afford it, I decided to learn Reiki myself. You can’t learn how to do Reiki from a book, although there are some people who claim to ‘attune’ over the Internet. I’m sceptical about that but hey, it works for some people so I’m not going to knock it. Personally, I spent two weekends with Peter, learning the basics behind Reiki-Seic him then being ‘attuned’ so that I was able to use the Reiki energy. For the Level 2 training I was also taught specific routines, symbols and words to use during a treatment, and how to ‘send’ Reiki via distance treatment. I do realise that this all sounds spectacularly woo-woo if you’re not used to the idea, but the way I’ve always explained it is that we are made up of energy particles. Some are large enough for us to see and feel, and some are sub-atomic particles that we can’t. We’re also surrounded by energy we can’t see. We can’t see gravity, ultra violet or infra-red light but we know they are there. Likewise, we can’t see our own energy, or life-force, but we can feel it. The life force (or the ‘Ki’ in Reiki) is all around us and we can all use it – but most of us don’t know how. We’ve forgotten, basically. It’s present in most Eastern medicine – Ayurveda uses ‘Prana’, Chinese medicine has ‘Chi’. Some Western religions call it ‘The Holy Spirit’ but Reiki isn’t a religion or a spiritual practice, it’s pure energy work. Being attuned is just a case of tuning in to the energy, so it’s a bit like a TV or radio really. Until it’s tuned in, you don’t pick up the signal…and until you’re tuned in to Reiki, you can’t pick up its energy. Are you still with me? So, I was attuned in 2004 and I’ve been using Reiki ever since, mostly on friends and family. When I was working in an office, Reiki was popular for the charity fundraisers. I love carrying out Reiki sessions, but I’ve never become a full-time Reiki therapist simply because I haven’t had the room or the equipment to set up a treatment area in my home. Half-hour full body Reiki sessions: Best for when you have a bit of time to sit still! I can also tailor sessions to help you deal with specific issues, emotional or physical, relaxation or stress relief. 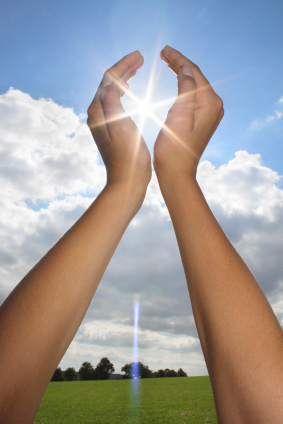 Mention INSPIRED REIKI and you can claim your 15-minute Reiki booster session at the introductory price of £5. Offer valid until 31 March 2013. 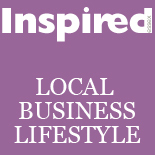 This entry was posted on March 5, 2013 by inspiredessex in Beauty & Wellbeing, Chatty, Inspirational People, Ladies Time Out, What we're up to and tagged distance reiki chelmsford, Inspired offers, reiki, reiki booster, reiki chelmsford, sarah clark, sarah clark copywriting.